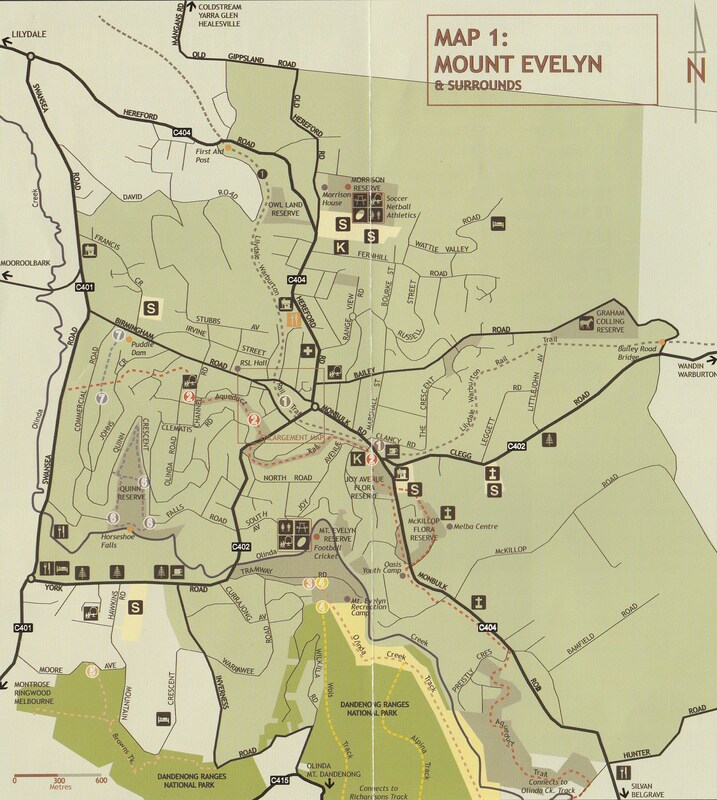 Mt Evelyn Street Party is located in Wray Crescent, Mt Evelyn, between Station Street and Birmingham Rd. 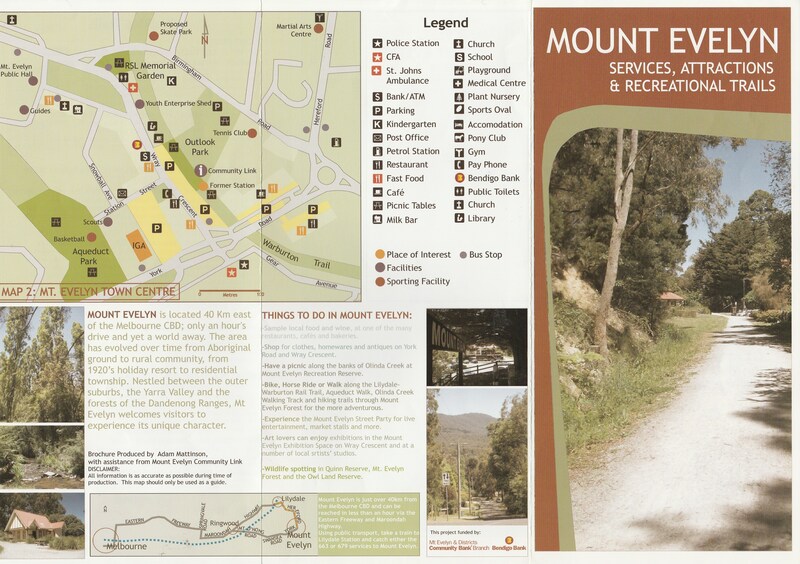 There are many walking and cycling trails in and around Mt Evelyn, along with Ventura buses that service the town. We encourage you to reduce traffic congestion and enjoy the event without the hassle of car parking! You can find information and a brochure with maps available to download on the Council website here. 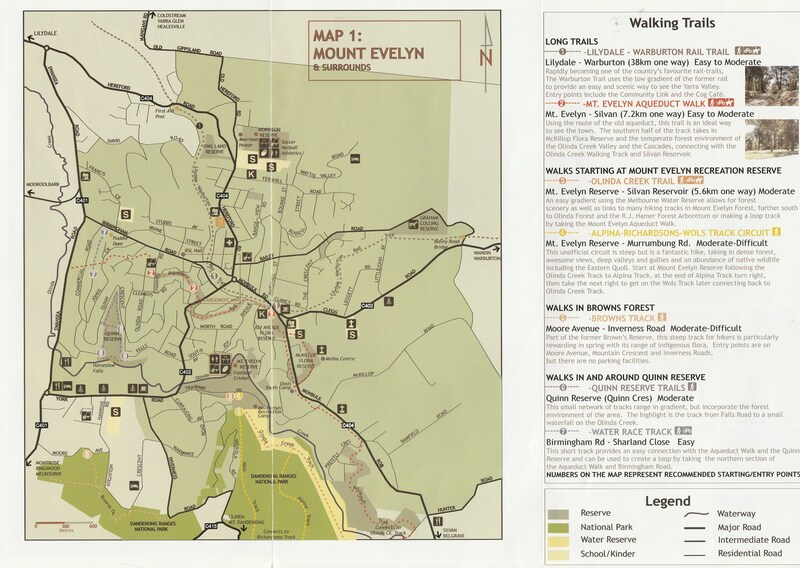 There are also walking trails maps at the bottom of this page to view or download. Car parks outside both the Mt Evelyn Primary School and Birmingham Primary School will be serviced every 15 minutes throughout the day. Don’t spend 15 minutes trying to find a car park near the Street Party, simply park outside one of the schools and catch the free shuttle bus! 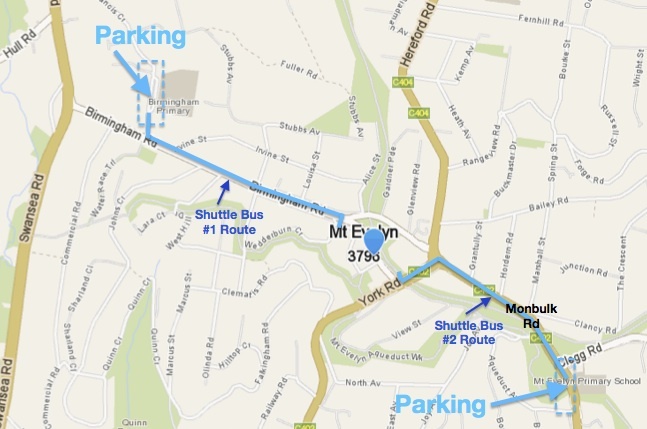 Lilydale Bound: 8:59am, 9:59am, 10:59am, 11:59am, 12:59pm, 1:59pm, 3:13pm, 4:13pm. Belgrave Bound: 7:42am, 8.41am, 9.40am, 10.40am, 11.40am, 12.40pm, 1.49pm, 2.49pm, 3.49pm, 4:49pm. Chirnside Park bound: 8:35am, 9:38am, 10:38am, 11:39am, 12:39pm, 1:38pm, 2:39pm, 3:39pm, 4:39pm. Ringwood bound: 8.25am, 9.24am, 10.24am, 11.24am, 12.24pm, 1.24pm, 2.26pm, 3.24pm, 4.24pm. Diversion route: Bypass Wray Cres by heading back up to Hereford Rd after the Channel Rd loop. Park outside Birmingham Primary School and catch the free shuttle bus up the hill to the Street Party. The shuttle bus will operate every 15 minutes. Park across the road from Mt Evelyn Primary School and catch the free shuttle bus to the Street Party, or take the 10 minute walk up the trail towards town and cross at the traffic lights to enter Wray Crescent. The shuttle bus will operate every 15 minutes. Attention! 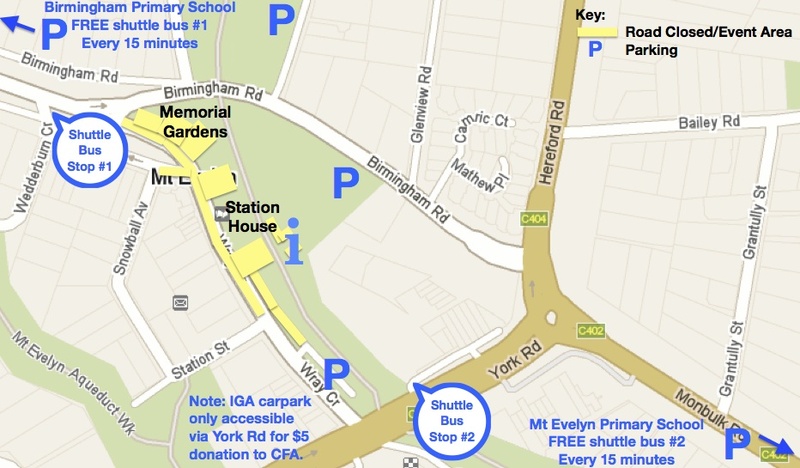 The Mt Evelyn IGA Supermarket car park will only be accessible via the York Road entry/exit until 3pm on Sunday 29th October, however access will only be granted with a $5 donation to the Mt Evelyn CFA. The Station Street entrance and exit will be closed for the duration. This is done out of good will for the CFA for all of their service to our community and in an effort to keep some short term car parks available for the community on the day of the Street Party. Customers that spend $30 at IGA or $20 at Heart & Soul Cafe will receive a $5 discount on presentation of the parking voucher on the day of the Street Party. Only one discount per voucher and one discount per customer. The car park will operate as normal after 3pm on Sunday 29th October. Mt Evelyn Township Group and the Street Party committee thank IGA and Heart & Soul for their efforts and for their contribution toward the CFA on the day.